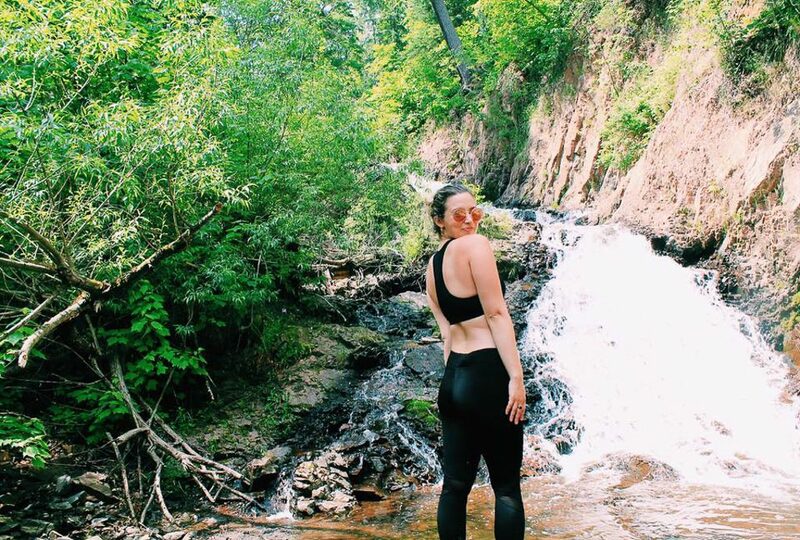 Duluth, Minnesota may be one of the most underrated hiking destinations in the country. 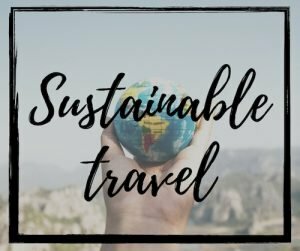 The trails of Duluth and the surrounding North Shore region are considered a local gem to us Minnesotans, but it still baffles me how Lake Superior’s beauty and surrounding greenery don’t attract more national and international visitors. 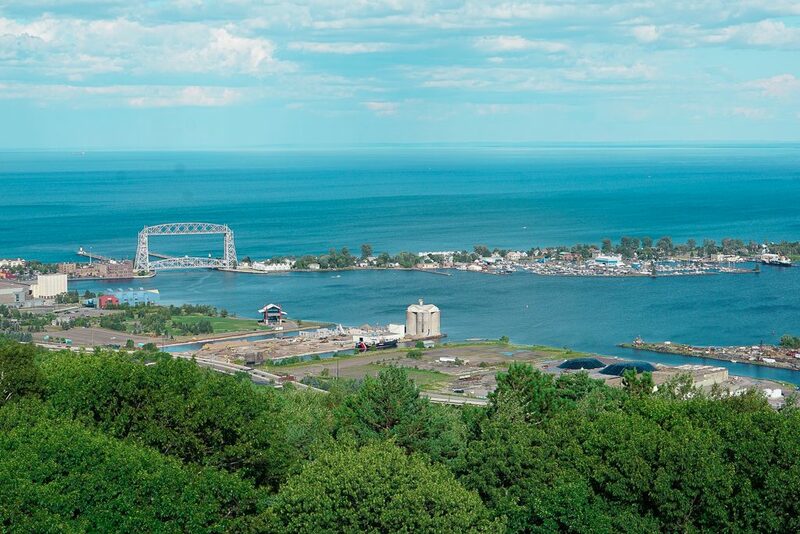 The best Hiking trails in Duluth, MN extend in about every direction in Duluth. 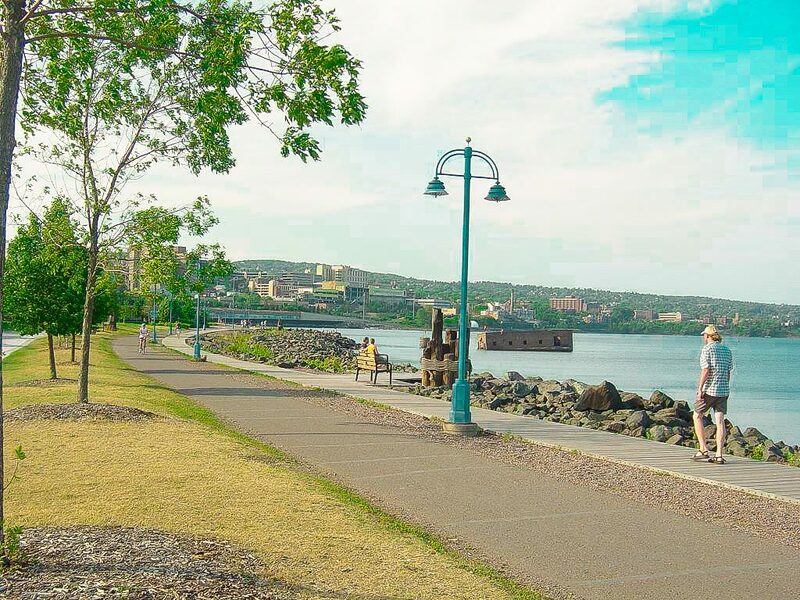 If you’re coming to Duluth with the family and looking to stay central, you’ll find several paths close to Canal Park. 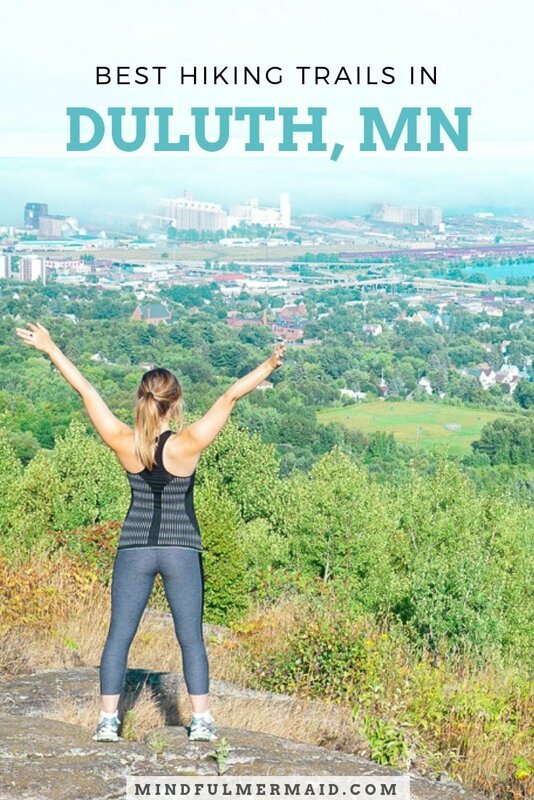 If you’re looking for a moderate hike with an epic view, you’ll have to venture a bit further out into the surrounding Duluth area. 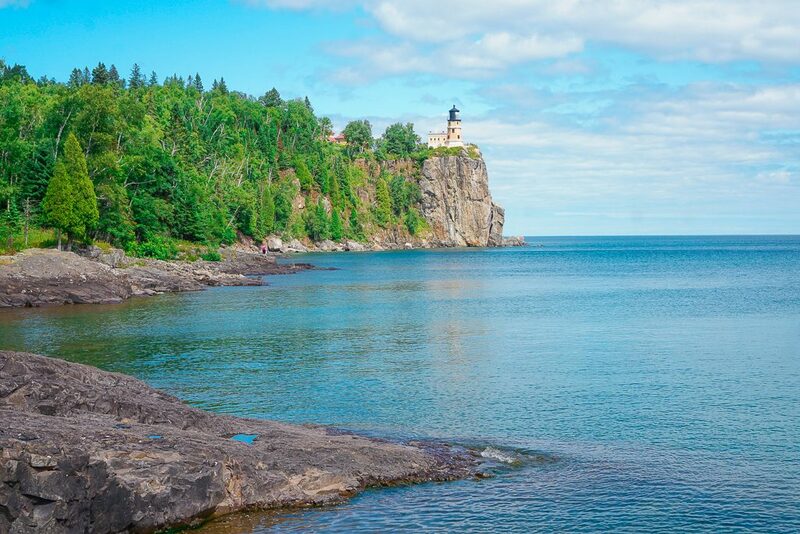 And of course, if you’re a pro-hiker, Duluth is home to the legendary Lake Superior hiking trail that stretches over 300 miles across the North Shore. 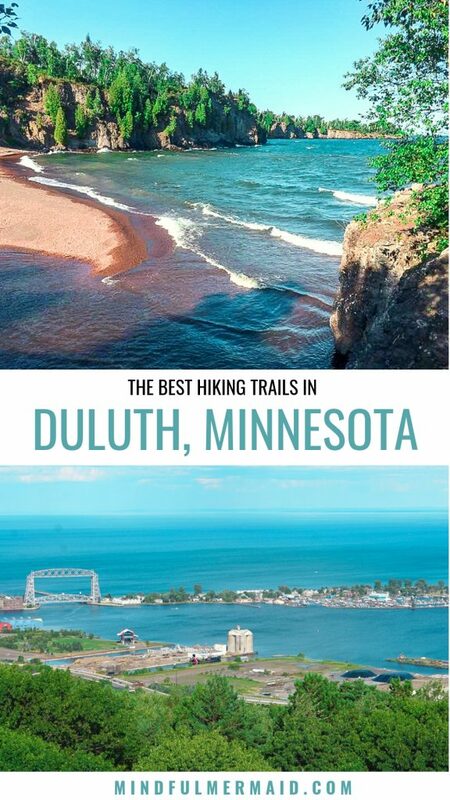 The best hiking trails in Duluth, MN pictures and map included! Chester Park is one of my favorite hikes to recommend to out-of-town visitors. 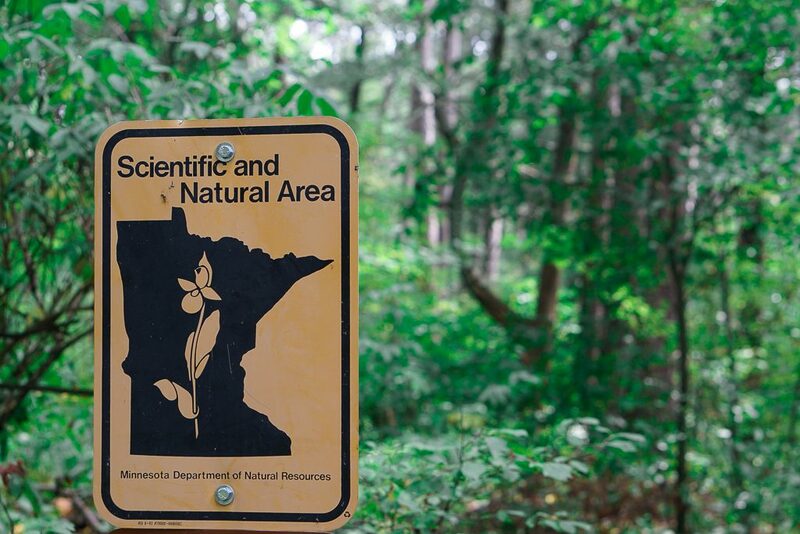 It’s an easy and scenic 2.7-mile hike along Chester Creek and Duluth’s vast woodlands. 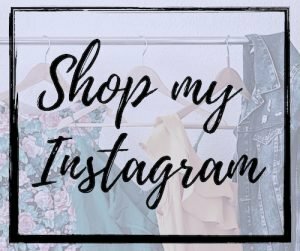 Because of its location next to University of Minnesota Duluth and St. Scholastica, it’s quite a popular destination for college students in spring through fall. It is also kid friendly, and there is a small swimming area near Chester Bowl in the center of the park. Head to the other side of UMD to explore Chester’s equally popular sibling: Lester. Even though this trail is slightly shorter at 2 miles, the steeper areas of the trail make it more suitable for moderate-level hiking. It’s a great location to go off-trail and explore the small paths that lead down alongside Lester River as it eventually meets Lake Superior. I do recommend to use caution when going off-trail, as the gravel can be loose in some areas. Also, I also would NOT recommend cliff diving in some of the swimming areas. It’s somewhat of a right-of-passage for local kids, but each year it ends in a fatal tragedy. Ely’s Peak in the Fall – Duluth, MN from Outside In Duluth on Vimeo. 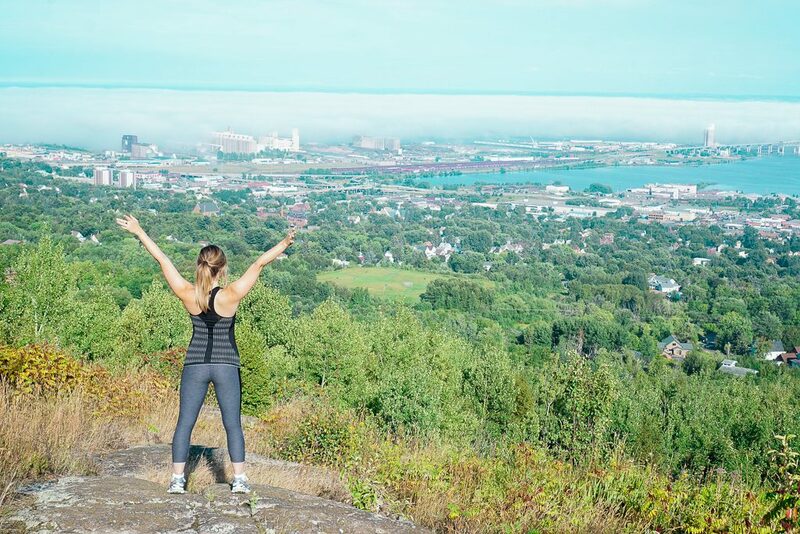 Ely’s Peak is perhaps the most underrated of all of the Duluth hiking trails. After years spent visiting my cabin on Park Point, and living in Duluth for a summer, and I only JUST found out about this panoramic peak. The trail is 1.5 miles long and the top overlooks the Fond du Lac reservation. You’ll also find the old DWP train tunnel from the early 1900s here as well. The peak itself was an important sacred site for young men within Minnesota’s Ojibwa native tribe. In Sacred Sites of Minnesota by John-Brian and Teresa Paprock, they describe that this site used as a coming-of-age ceremony. Young men would partake in a ritual of climbing the peak, fasting, and meditating for days. With a view like that I can see why this was a sacred site. Slightly South of Ely’s Peak is the popular Munger trail of West Duluth. The trail is actually a collection of three separate trails that stretch 60 miles long. Part of the trail goes into the scenic area of the Fond du Lac native reservation. 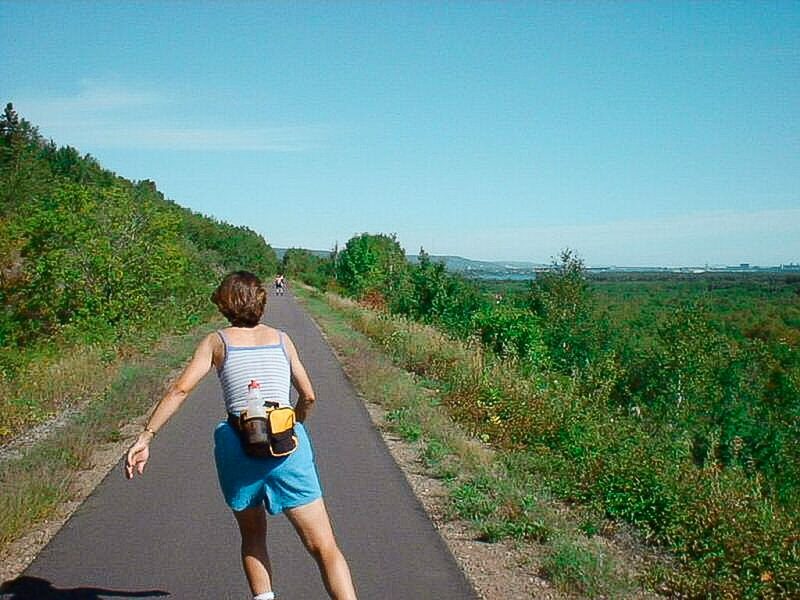 Munger trail is also popular for biking, roller blading, or jogging on parts of the trail that are paved. There are several hiking areas through the woods as well. I’m still kicking my self in the foot as to why it took me nearly 25 years to get up to Split rock lighthouse. 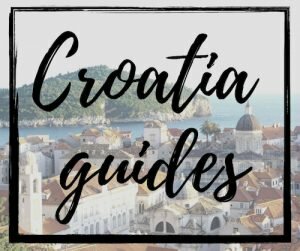 While honestly, touring the lighthouse and taking the inclusive tour was less than exciting, paying the $10 entry fee was worth it to explore the surrounding area. Split Rock Lighthouse is about 50 miles North of Duluth, and was built as a response to various ships crashing into the cliffs of Silver Bay. Since 1910, it’s been lighting the way for ships on the North Shore and served as a popular tourist attraction. 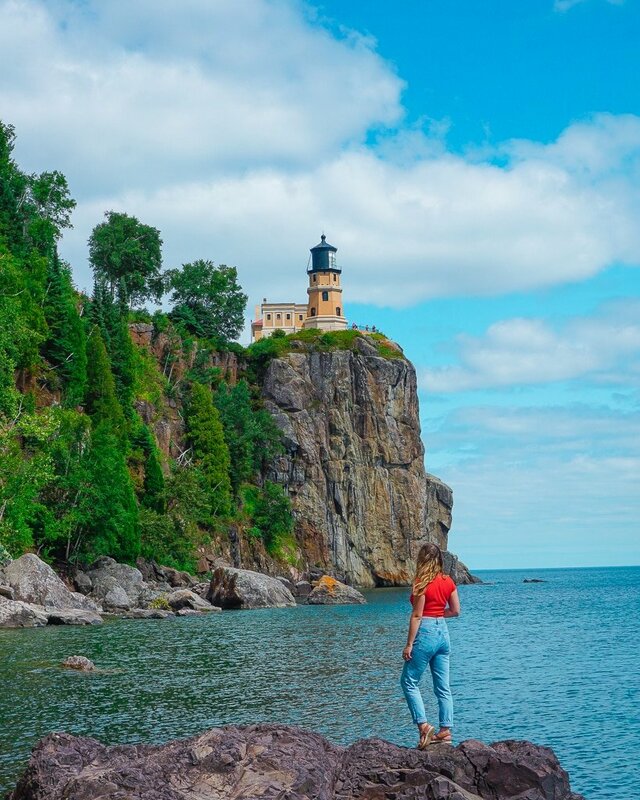 Once you enter the lighthouse entrance area, you simply can walk along the cliffside paths in either direction, if you walk away from the cliffs back towards Duluth, you’ll find walking trails that extend and eventually lead to Pebble Beach. This is where you see the pictures of me on the rocks. That entire area extends to other rocky areas perfect for sitting out for a picnic. (Though be warned, the flies can get annoying in summertime). The scenic Lakewalk is a must when visiting Duluth, especially if you are short on time. The walking trail is centrally located along the Lake in Canal Park, and extends 15.3 miles up the Superior shore. Most of the trail is flat and an easy walk, but you don’t have to feel obligated to walk the entire 15 miles. I recommend walking at least to the Rose Garden area or Fitgers from Canal Park. It’s also one of my favorite places in bike in Duluth. My mom and I decided to bike from park point to the Gleenshen Mansion, which was a great workout with a scenic view. 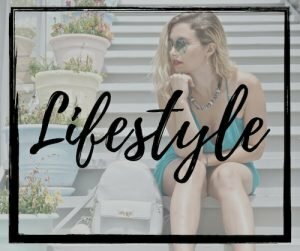 However, I will advise to be careful when biking or walking for other bikers. Some bikers go extremely fast with little to no warning. Just across the lift bridge from Canal Park is Park Point, which is where I personally call home when staying in Duluth. Park Point is technically the largest sandbar in the world, with waterfront properties, miles of sandy beaches, and woodsy walking trails. All the way at the end of the point is where you’ll find the actual walking trails that stretch 4.5 miles into Park Point’s untouched nature. The trail is almost completely flat, so it is suitable for all skill levels. Otherwise if you’re more of a beach person, you can walk, paddle board, kayak, or swim along Park Point Beach. 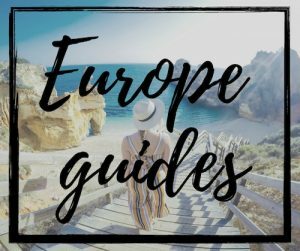 I suppose this isn’t technically considered a hiking trail, though I do think it is worthy of mentioning alongside other walking trails. Enger Park is an area with a garden and a lookout tower with an epic view. In the park area, you can also hop on part of the Lake Superior Hiking trail, which then extends for miles in both directions. 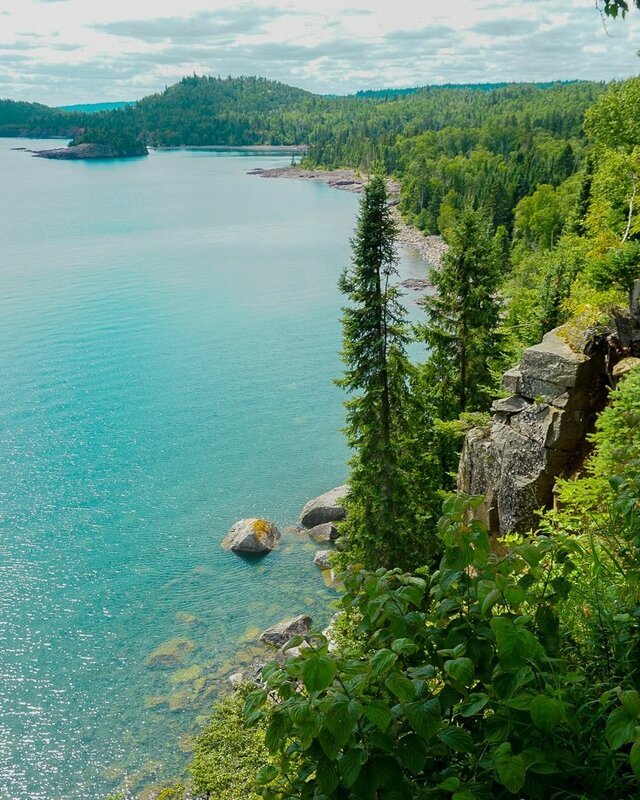 If you’re not familiar with Superior Hiking trail, let me enlighten you: it’s a 326-mile hiking trail that extends from Canada to Minnesota and into Wisconsin. The North Shore part of the trail is 269 miles, with different segments for day hiking and also areas for camping. 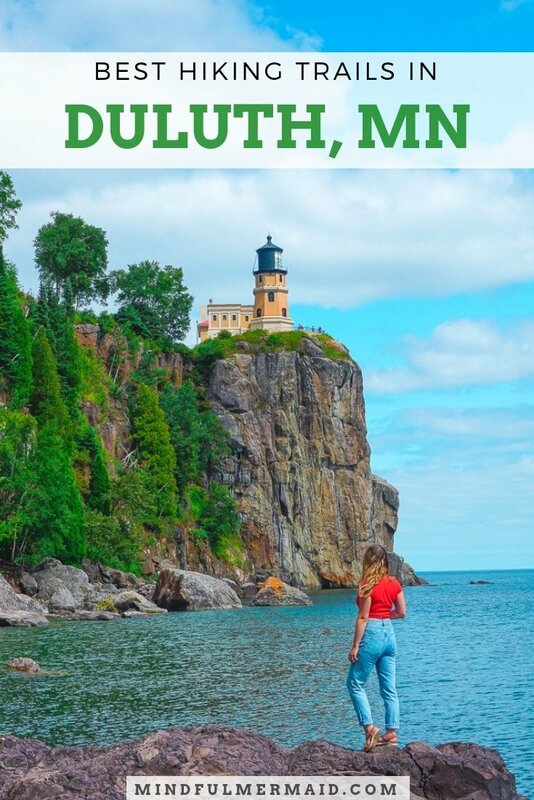 The Southern segment that goes through the city of Duluth is 43 miles, but only provides day hiking opportunities (no camping). 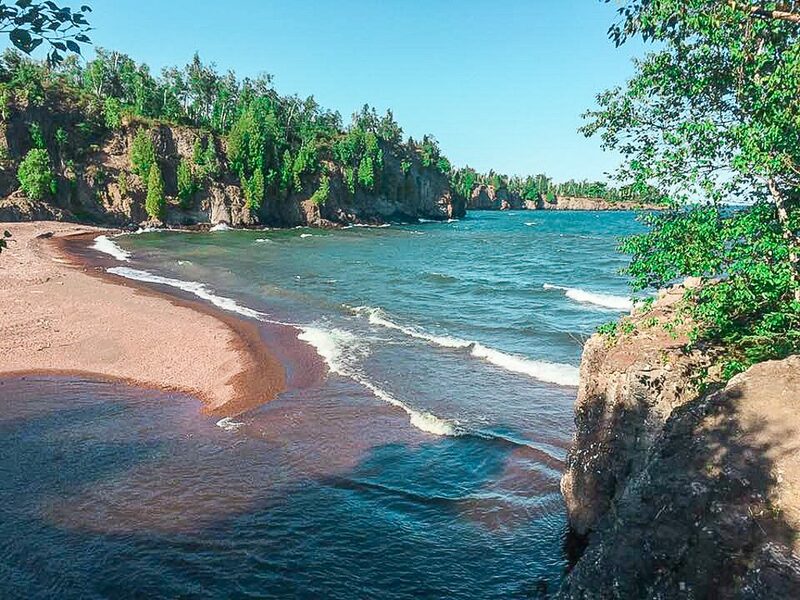 The Superior Hiking trail is the best way to explore the diverse landscape of the North Shore, weaving through forests, rivers, and along the lake. The lowest point of the trail goes 602 feet above sea level and the highest point is 1,829 above sea level. 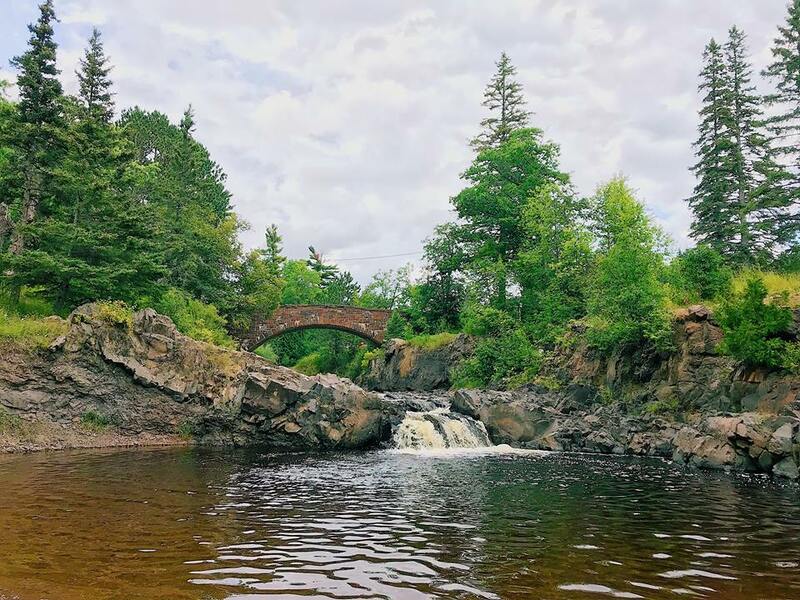 One of the most popular day trips from Duluth is a trip to Gooseberry Falls, just before the aforementioned Split Rock Lighthouse area. The falls area themselves have a little hiking, though it is more popular for swimming or capturing the falls themselves. The hiking trail, however, extends 14 miles long along the river and Lake Superior. It is rated as an advanced hike as sections of the hike are more rigorous. If you want to see the most view of Duluth from atop, this hike is a MUST. It’s a favorite among locals, and I am eternally grateful for some of my local friends for taking me here. Located in West Duluth near Piedmont Ave, this trail is about 1.5 miles through the forest and then reaches a lookout point at the very top. This area is perfect for photography, a picnic, or simply just taking in the view. The St. Louis River is equally as important as Lake Superior to the city of Duluth .I used to intern for the U.S. Senate and did a research project on the environmental protection of this area, so it has a special place in my heart. What once was an oasis of wild rice and wetlands for the native tribes became Duluth’s industrial dumping ground by the 1960s, leaving the wildlife completely destroyed within a few decades. 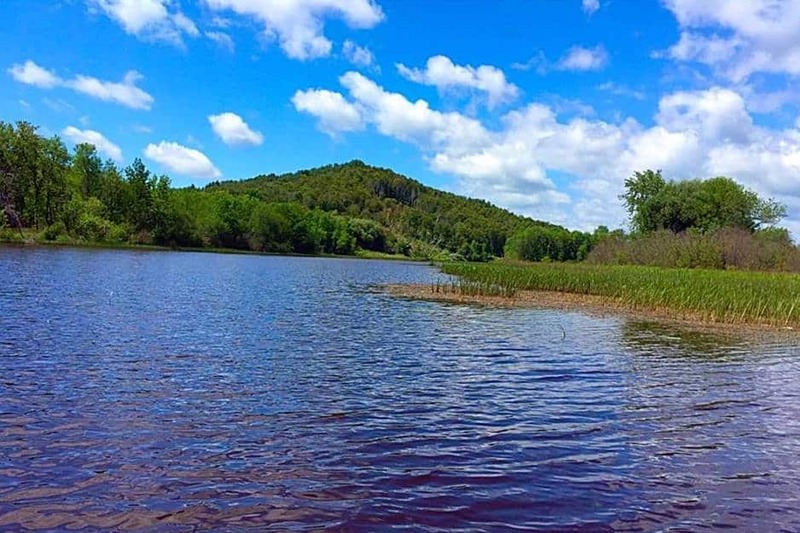 If it weren’t for the Environmental Protection Agency funding the restoration of this area as a national area of concern in the 1970s, it wouldn’t be the population destination for hiking, fishing, and camping that it is today. 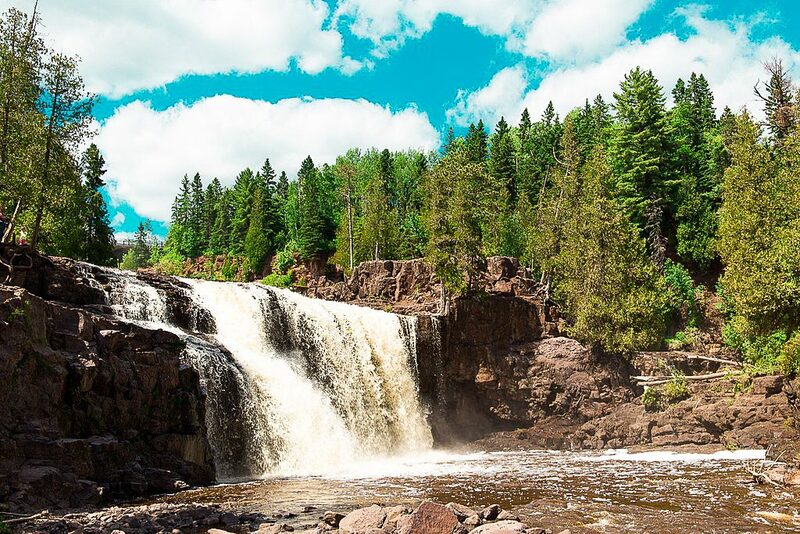 The best way to see the St. Louis River is by starting in the Jay Cook State Park Visitor’s center and hike up along the river to end at the Grand Portage trailhead. This is a moderate hike that is about 6.6 miles in length. The trail weaves through a variety of native ecosystems and habitats and follows along the historic portage route.